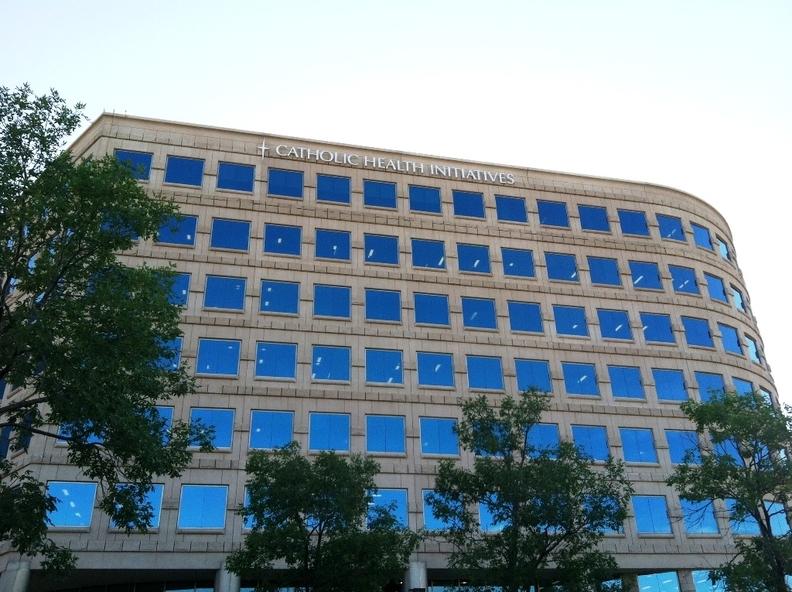 A new set of religious directives from the U.S. Conference of Catholic Bishops could make it more complicated for Catholic and non-Catholic health systems to forge merger or partnership deals, even as more systems are entering or exploring such tie-ups. Last month, the bishops overwhelmingly approved the 6th edition of the Ethical and Religious Directives for Catholic Health Care Services, updating a section on collaborative arrangements with non-Catholic organizations whose last version was issued in 2009. Catholic healthcare organizations downplayed the impact of the revised directives. The change "does not alter or reverse any current or proposed affiliations or joint ventures and does not include additional guidelines that would restrict our approach to partnerships," said Colleen Wadden, a spokeswoman for Providence St. Joseph Health. But Catholic officials, ethicists and outside observers said the new rules could toughen church scrutiny of merger or partnership agreements, notably the huge pending deal between Catholic Health Initiatives and Dignity Health, which includes non-Catholic hospitals. The new directives also could raise questions about a number of so-called carve-out arrangements around the country designed to preserve access to healthcare services forbidden by Catholic doctrine, including post-partum tubal ligations and contraception. Gender transition care also could be affected. Indeed, the bishops ordered the revisions in response to church concerns about an agreement by Catholic Healthcare West to allow the provision of tubal ligations and other prohibited services at non-Catholic hospitals that were part of the system and that later became part of Dignity Health. Those services would continue at Dignity's non-Catholic hospitals under the proposed merger agreement with CHI. "Yes, local bishops will become more involved in scrutinizing partnership arrangements," said Bishop Robert McManus of Worcester, Mass., who chairs the bishops' subcommittee that crafted the new directives. "Whatever types of partnerships evolve between Catholic and non-Catholic institutions, the protocols for incorporation have to be according to the moral teaching of the church. If that hasn't been the case, that might have to be revisited." Catholic hospitals have faced lawsuits over their refusal to provide medical services such as tubal ligations, abortion in cases of risky miscarriages, and gender transition care. The new four-page section on collaborations was developed after four years of wide consultation with Catholic providers and stakeholders and numerous drafts. It strengthens language requiring local bishops to assess whether partnerships with non-Catholic organizations involve improper "cooperation in actions that are intrinsically immoral, such as abortion, euthanasia, assisted suicide, and direct sterilization." Recognizing the growing regional and national reach of Catholic systems, the directives for the first time establish a multi-jurisdictional review process requiring bishops in each market affected by a partnership to consult with each other and try to reach a consensus about the morality of the merger or partnership. The bishop in the diocese where the Catholic system's headquarters is located must lead the consultation. That could slow large mergers and acquisitions by requiring the signoff of many different bishops across the country, said Lois Uttley, founder of MergerWatch, which monitors mergers between religious and secular hospital systems. The revised directives' bottom line is that in any type of collaboration, everything the Catholic organization controls by acquisition, governance or management "must be operated in full accord with the moral teaching of the Catholic Church." Additional language bars the establishment of an independent entity to "oversee, manage, or perform immoral procedures." Dr. Debra Stulberg, a University of Chicago associate professor of family medicine who has studied the challenges OB-GYNs face while practicing in Catholic systems, warned the new directives could make it harder for non-Catholic healthcare organizations to continue providing prohibited services such as postpartum tubal ligations through carve-out arrangements. It also could become more difficult for physicians in Catholic or partnered non-Catholic systems to find ways to give patients services they need, such as contraceptives, or else refer them out for such services, she added. That's a particular issue in the growing number of communities where patients lack ready access to non-Catholic providers. "It strikes me that the bishops are doubling down on their commitment that care must be consistent with Catholic doctrine, and there's no room for working around their interpretation of what's morally acceptable healthcare," Stulberg said. John Haas, president of the National Catholic Bioethics Center, said most of these carve-out arrangements shouldn't have been approved under the previous Ethical and Religious Directives, calling them a "ruse." He anticipated that the bishops will ask his organization to review any that are still in existence. One carve-out that could be called into question is the Burdett Birth Center in Troy, N.Y., a separately incorporated women's health and birthing center that's located within Samaritan Hospital, which is now part of the Catholic systems St. Peter's Health Partners and Trinity Health. Burdett offers post-partum tubal ligations and contraceptive services. It also provides treatment for women in cases of miscarriages or ectopic pregnancies, which can become an issue under Catholic care rules. Samaritan's former owner, Northeast Health, a secular system, created Burdett to ensure access to these services before it merged with a Catholic system in 2011. Philip Boyle, Trinity's senior vice president for mission and ethics, said the Burdett arrangement to offer services that violate Catholic religious directives inside a hospital that must follow the directives might look like "smoke and mirrors." But it won the approval of the local bishop and is based on permissible moral theory, he added. Still, he acknowledged it's possible under the revised Ethical and Religious Directives—though unlikely—that the church could go back and rescind the arrangement. Directive 77 states that "if it is discovered that a Catholic health care institution might be wrongly cooperating with immoral procedures, the local diocesan bishop should be informed immediately and the leaders of the institution should resolve the situation as soon as reasonably possible." As he and other Catholic healthcare ethicists note, much depends on the views and interpretation of the local bishop. That's cold comfort to hospital administrators, who can't be confident that their facility's services will survive church scrutiny. "Some bishops might interpret it one way, some another," Boyle said.